I got into a bit of an argument with Björn Brembs on twitter last week because of a statement I made in support of professional editors. I was mostly saying that professional editors were no worse than academic editors but our discussion went mostly into the general usefulness of scientific journals. Björn was arguing his positions that journal rankings in the form of the well known impact factor are absolutely useless. I was trying to argue that (unfortunately) we still need journals to act as filters. Having a discussion on Twitter is painful so I am giving my arguments some space in this blog post. "Journal rank (as measured by impact factor, IF) is so weakly correlated with the available metrics for utility/quality/impact that it is practically useless as an evaluation signal (even if some of these measures become statistically significant)." I covered some of my arguments before regarding the need of journals for filtering here and here. In essence I think we need some way to filter through the continuous stream of scientific literature and the *only* current filter we have available is the journal system. So lets break this argument in parts. Is it true that : we need filters; journals are working as filters; there are no working alternatives ? I hope that few people will try to argue that we have no need for filters in scientific publishing. On pubmed there are 87551 abstract entries for May which is getting close to 2 papers per minute. It is easy to see that the rate of publishing is not going down any time soon. All current incentives on the author and publishing side will keep pushing this rate up. One single unfiltered feed of papers would not work and it is clear we need some way to sort out what to read. The most immediate way to sort would be on topics. Assuming authors would play nice and not try to tag their papers as broadly as possible (yeah right) this would still not solve our problem. 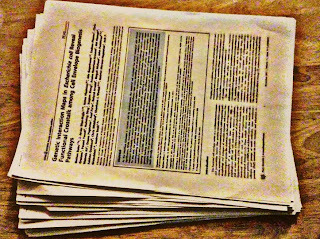 For the topics that are very close to what I work on I already have feeds with fairly broad pubmed queries that I go through myself. For topics that might be one or several steps removed from my area of work I still want to be updated on method developments and discoveries that could have an impact on what I am doing. 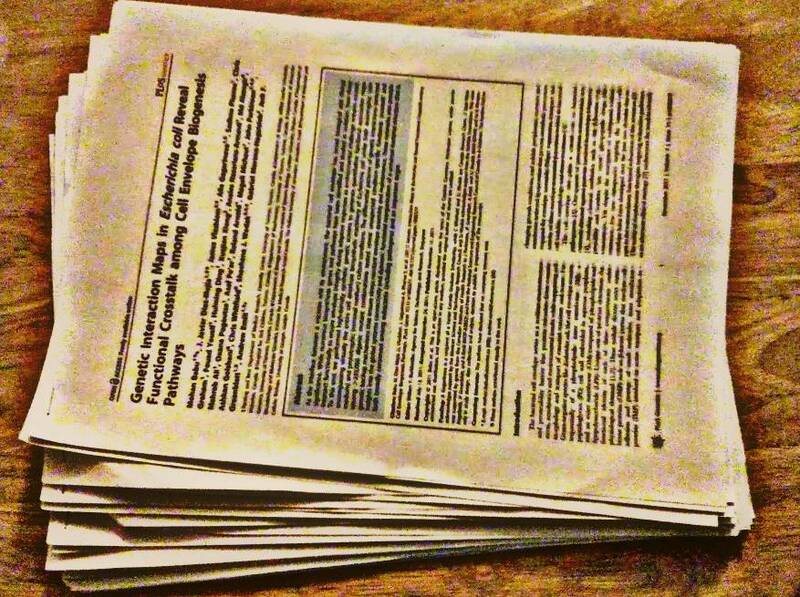 I already spend an average of 1 to 2 hours a day scanning abstracts, I don't want to increase that. If you follow me this far then you might agree that we need filtering processes that go beyond simple topic tagging. Without even considering journal "ranking", the journals already do more than topic tagging since journals are also communities that form around areas of research. To give a concrete example both Bioinformatics and PLOS Computational Biology publish papers in bionformatics but while the first tends to publish more methods papers the latter tends to publish more biological discoveries. Subjectively I tend to prefer the papers published in the PLOS journal due to its community and that has nothing to do perceived impact. What about impact factors and journal ranking ? In reviewing the literature Björn concludes that there is almost no significant association between impact factors and future citations. This is not in agreement with my own subjective evaluation of different journals I pay attention to. To give an example, the average paper on journals of the BMC series are not the same to me as average papers published in Nature journals. Are there many of you that have a different opinion ? Obviously, this could just mean that my subjective perception is biased and incorrect. This would mean also that journal editors are doing a horrible job and the time they spend evaluating papers is useless. I have worked as an editor for a few months and I can tell you that it is hard work and it is not easy to imagine that it is all useless work. In his review Björn points to, for example, the work by Lozano and colleagues. 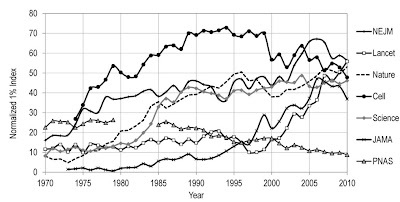 In that work the authors correlated the impact factor of the journal with future citations of each paper in a given year. 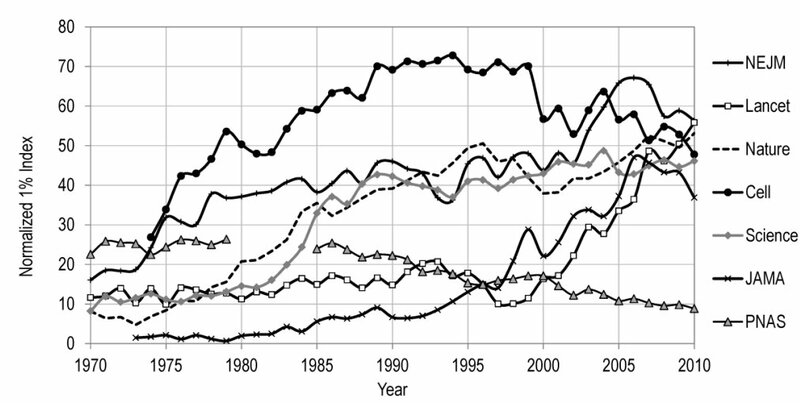 For biomedical journals the coefficient of determination has been around 0.25 since around 1970. Although the correlation between impact factor and future citations is not high (r ~ 0.5) it is certainly highly significant given that they looked at such large numbers (25,569,603 articles for biomed). Still this also tell us that evaluating the impact/merit of an individual publication by the journal it is published prone to error. However, what I want to know is: given that I have to select what to read, do I improve my chances of finding potentially interesting papers by restricting my attention to subsets of papers based on the impact factor ? I tried to get my hands on the data used my Lozano and colleagues but unfortunately they could not give me the dataset they used. Over email, Lozano said I would have to pay Thomson Reuters on the order of $250,000 for access (not so much reproducible research). I wanted to test the enrichment over random of highly versus lowly cited papers in relation to impact factors. After a few other emails Lozano pointed me to this other paper where they calculated enrichment for a few journals in their Figure 4, which I am reproducing here under a Don't Sue me licence. For these journals they calculated the fraction of 1% top most cited papers divided by the fraction of top 1% cited papers across all papers. This gives you an enrichment over random expectation that for journals like Science/Cell/Nature turns out to be around 40 to 50. So there you go, high impact factors, on average, tend to be enriched in papers that will be highly cited in the future. As an author I hate to be evaluated by the journals I publish in instead of the actual merit of my work. As a reader I admit to my limitations and I need some way to direct my attention to subsets of articles. Both the data and my own subjective evaluation tells me that journal impact factors can be used as way to enrich for potentially interesting articles. Absolutely ! The current publishing system is a waste of everyone's time as we try to submit papers down a ladder or perceived impact. The papers get reviewed multiple times in different journals, reviewers think that articles need to be improved with year long experiments and discoveries stay hidden in this reviewing limbo for too long. We can do better than this but I would argue that the best way to do away with the current journal system is to replace it with something else. Instead of just shouting for the destruction of journal hierarchies and the death of the impact factor talk about how you are replacing it. I try out every filtering approach I can find and I will pay for anything that works well and saves me time. Google Scholar has a reasonably good recommendation system and it is great to see people developing applications like the Recently app. PLOS is doing a great job of promoting the use of article level metrics that might help others to build recommendation systems. There is work to do but the information and technology for building such recommendation systems is all out there already. I might even start using some of my research budget to work on this problem just out of frustration. I have some ideas on how I would go about this but this blog post is already long. If anyone wants to chat about this drop me a line. At the very least we can all start using preprint servers and put our work out before we bury it for a year in the publishing limbo.